Palomar Icon Laser Review | Features | LOW Pricing, BUY NOW! Building on the success of Palomar’s StarLux aesthetic laser systems Palomar developed the next generation Icon Aesthetic Laser. The Palomar Icon laser is a light-based multi-platform system that allows the practitioner to provide a wide range of some of the most popular aesthetic treatments to their customers. High Peak Power: The Icon laser can deliver energy at over 350 joules, making it the most power optimized laser platform available. Photon Recycling: This patented features reduces energy loss to improve treatment. Smooth Pulse: Palomar developed a proprietary light delivery system that results in larger amounts of energy being used. Skintel Melanin Reader: This optional accessory allows you to determine with a higher level of confidence your patient’s melanin level to set the best treatment parameters for their skin type. Advanced Contact Cooling: Ability to maintain consistent temperatures a 5 degrees Celsius for maximum patient comfort and safety. AccuSpectrum: Through the use of dual filters, epidermal exposure is reduced to improved client comfort. Microlens for Fractional Laser Treatments: The XD and XF microlens for the 1540 handpiece allow better coverage with fewer passes. After the success of the StarLux laser platform, Palomar manufacturers greatly enhanced the performance of the system and added some new technology features as well. (If you are looking to purchase a Palomar Icon Laser, we always have several units in stock. ) They also upgraded the performance of the Icon handpieces that come with the system. Following is more information on the equipment. Following is an outline of treatments that can be performed by IPL handpiece type. In order to deliver the right treatment parameters, it is very important to determine the correct skin type of your patient. The Fitzpatrick Skin Type scale can you determine the range between light to dark based on a scale of I – VI. Eye, skin, and hair color factor in along with skin reaction to sun exposure and a person’s ethnicity. For the best evaluation of a person’s melanin content, the Palomar Skintel Melanin Reader is an excellent option that will help you achieve the best results when treating patients with Palomar IPL handpieces. The Skintel Reader using Light Emitting Diodes (LED) to calculate melanin values. The 1064+ handpiece is an Nd:YAG laser that provides two (2) treatment applications: leg vein clearance and laser hair removal for all skin types and works well on darker skin types. The 1540 handpiece is a fractional non-ablative laser (Er:Glass) that treats stretch marks, reducing their appearance and color resulting in smoother skin. High precision microbeams are responsible for creating deep coagulation in both the epidermis and dermis which results in new tissue and collagen generation. Treatment sessions with the Palomar 1540 can often take just a few minutes. The 1540 handpiece is also the First FDA-Cleared fractional laser that is clinically proven for treatment of stretch marks. XF Lens: The XF lens is results in high speed non-ablative treatments. The 2940 ablative fractional handpiece (Er:YAG laser) is the best choice for fractional ablative skin resurfacing and the treatment of fine lines and wrinkles. It can also be used for pigment lesions. The Palomar 2940 handpiece represents a better option versus CO2 laser treatments. Groove Optic: The 2940 uses a groove optic pattern to increase ablative coverage with less passes over the treatment area. 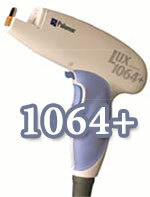 The Palomar MaxIR handpiece is an infrared handpiece that is designed for deep tissue coagulation. 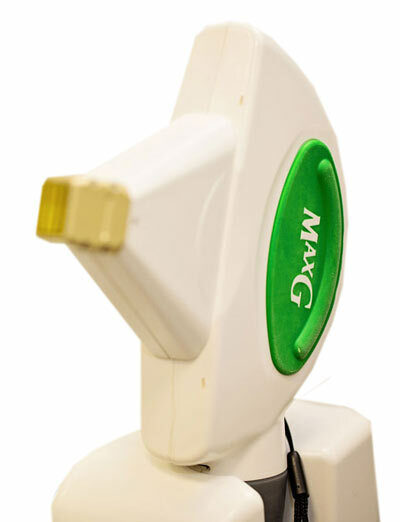 The MaxIR can be used on areas such as the legs, neck and abdomen. 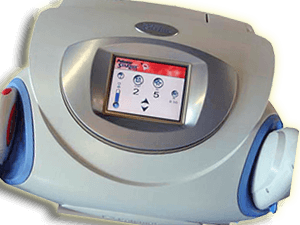 MaxIR Deep Tissue Coagulation Up to 154 Joules 850 – 1350 nm 2.5 – 10 sec.